DevBlog #21 - Discord, Composer, Aliens and awesome new screenshots and gifs. Bugbyte Forums Space Haven Forums Space Haven Gamedev blog DevBlog #21 - Discord, Composer, Aliens and awesome new screenshots and gifs. Over two years of full-time development with our 3-man indie team! The game is progressing and coming together. This is by far the most exciting and challenging game project we have worked on. From the isometric 2D view to modeling character AI and mood, this game has pushed us to the limit but we are determined to bring it alive. Bugbyte now has a Discord server. Want to chat with us? Now you can! First, we have a Discord server up and running. Below is a step-by-step process to make that happen if you aren't familiar with Discord. Discord is fun, and it's a growing text and voice chat application. We post screenshots and gifs there often and you can ask us questions. We will try to pop in every week or even a few times a week to answer your questions and have a chat with you. Hopefully we will see you there! [*]Launch the application and create an account. Space Haven has a music and sound composer. Say welcome to Paul Zimmermann! Enjoy "Nebula Signals" by Paul Zimmermann below! We decided it's time to start looking for a composer for Space Haven, we wanted to find someone who shares our passion to make Space Haven something great. So we posted an ad on Reddit and composers swarmed in ready to show their talent. The audition lasted for 2 weeks and after composers had made their demo tracks we were left with going through the submissions and choosing who could be the best fit for our team. The decision wasn't easy, there are many great composers out there, and it's not easy for them. So we wanted everyone to win, but we can only choose one. In the end, a fellow by the name of Paul Zimmermann created this demo track for Space Haven and we like it the most (You can listen to the track a bit up under the hyperspace gif). Want to say welcome and chat with Paul? You can do that on the Discord server too! He can be found on the server by the name of "pzcomposer". Follow Bugbyte creator page on Steam to be notified of Steam release! Aliens! Newest screenshots and gifs from Space Haven. We've been working on various areas of the game during the summer. Perhaps one of the more exciting additions is an alien species. Of course there has to be aliens when we are in space! We took inspiration from the alien movies, since we find the concept thrilling. We wanted to make it possible for your characters to become captured by the aliens. 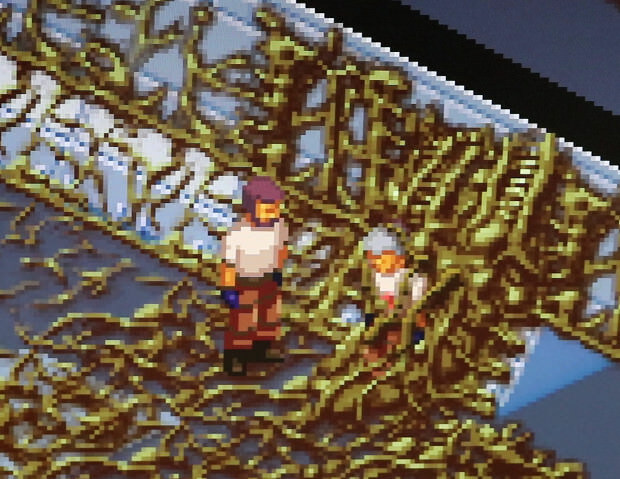 You'll be able to do rescue missions to save those poor souls, or you might find a crew member of another ship captured by the aliens when you are exploring. Save him/her and get a new crew member! Oh no! What happened to this poor man? And what is this unrecognizable growth that has taken over this ship. I also hear odd sounds in the vents, better fetch my flashlight and take a look. Picture taken from our graphic artist Matti's screen. 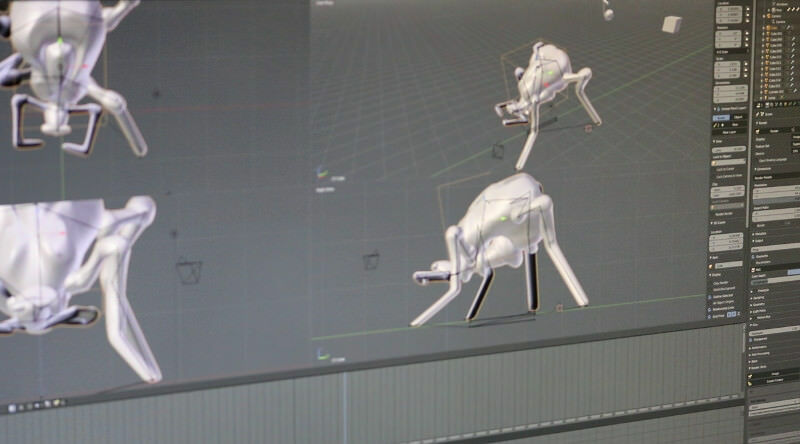 Here he is creating a 3D model of one of the alien entities. They never stop spawning! We need reinforcements here. 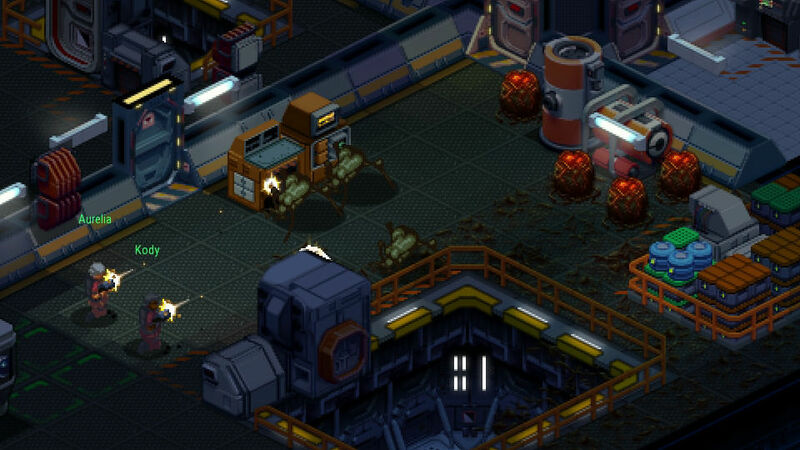 Aurelia and Kody fighting an alien infestation. Will they survive? And here you can see them fully implemented in-game in a never-ending gif, ready to attack your characters. Open fire! 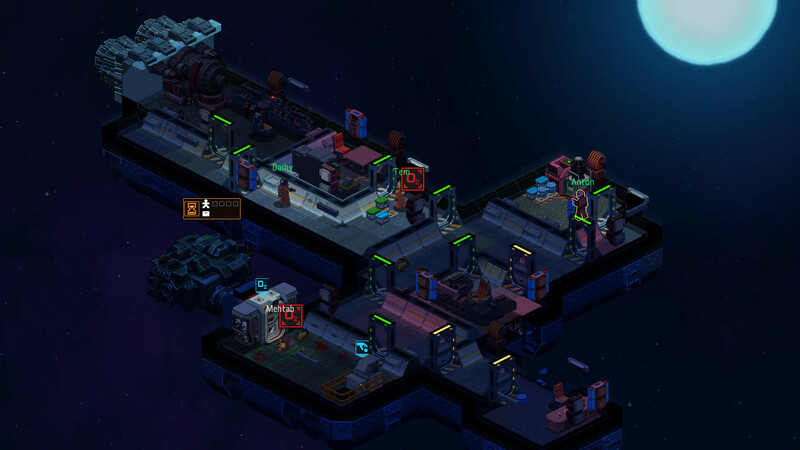 The crew has boarded this abandoned spaceship and found some food and resources they can use. Time to load the shuttle up and head on back home. Follow Space Haven on your favorite social media channel. Youhoo, testing for the win! Shared the Discord with my friends and community- I really want to see this game succeed. I don't believe I've taken this much interest in an in-development game for a long time. Oh wow! I love the music too! It's always great to hear that the game is progressing. I'm looking forward to it eventually releasing. Thank you @Pulz and others for the encouraging words! We have a goal now to have some type of early access in the early months of 2019 (Feb - April). We will then continue to develop the game based on player feedback! Holy crap!!! This game is gonna be awesome. Will there be the classic Battlevoid races as well? The music is amazing! The aliens as well.